Turkey has blocked its residents from accessing WikiLeaks website after it dumped nearly 300,000 emails from President Recep Tayyip Erdogan's ruling party AKP online. The leaked documents, which are being called the 'Erdogan Emails’, were obtained a week before Turkey saw an attempted coup to overthrow Erdogan that resulted in almost 300 deaths. As a result WikiLeaks moved forward its publication schedule in response to the government's post-coup purges. WikiLeaks added that that the source of the emails was not connected to the coup plotters or to a rival political party or state. The emails date from 2010 to 6 July this year. 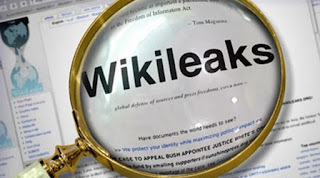 The nature and content of the "emails associated with the domain are mostly used for dealing with the world, as opposed to the most sensitive internal matters" says the official WikiLeaks website. Although these won't contain President Erdogan's top-secret personal emails, there are masses of correspondence between party members to highlight the dynamic of the AKP and their political agendas. Wikileaks said on Twitter that Turks who are blocked from accessing its website can "use a proxy or any of our IPs" to get access to the documents on Turkey's ruling party. The Turkish government has previously banned access to websites deemed to be carrying material critical of Turkey, including YouTube and Twitter.